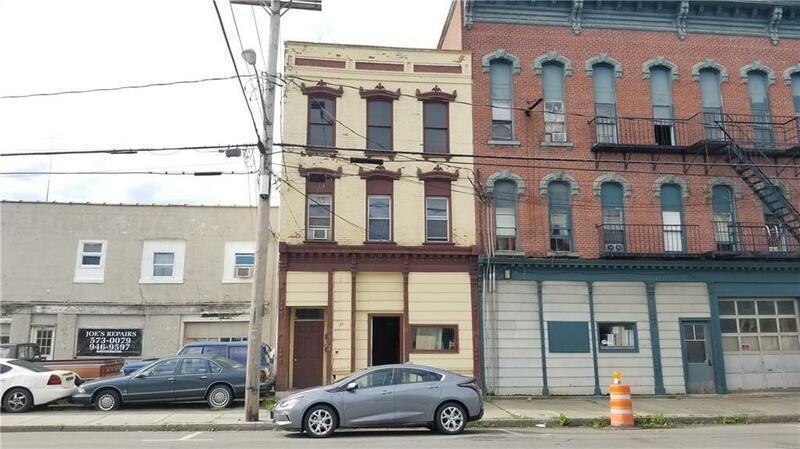 35 Water Street, Lyons, NY.| MLS# R1148009 | Largest Real Estate Sales and Property Management Company in The Finger Lakes and WNY. CALLING ALL INVESTORS! Perfect opportunity to own a multi-use building that has money coming in on day 1. First floor is currently being used for storage, but has store front potential and needs to be fully renovated. Second floor has 2 one bedroom apartments that are currently rented out for $465 and $425 a month. Building is located in the historic district of Lyons and may qualify for state funding for renovations. Directions To Property: From Hwy 31, Turn North Onto Leach Rd In Lyons, Then Head East On Water Street. Building Is Across The Street From Congress Street.